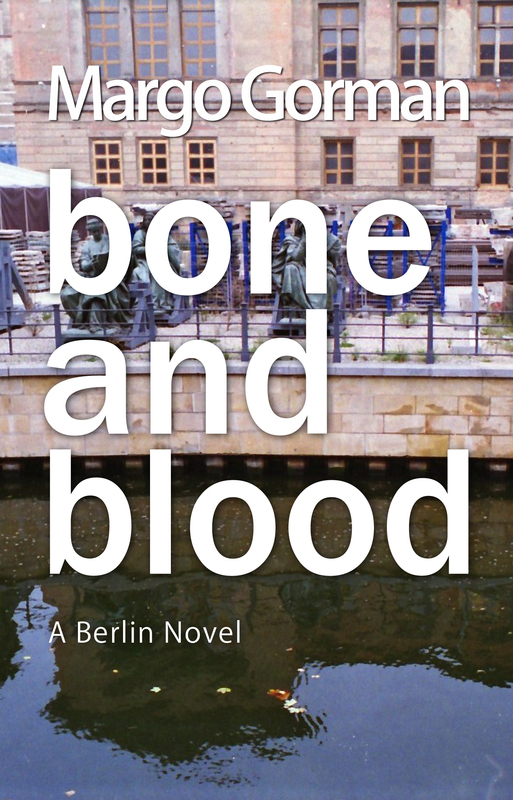 I had the honour of reviewing “Bone and Blood: A Berlin Novel” by Margo Gorman for the Historical Novel Society. 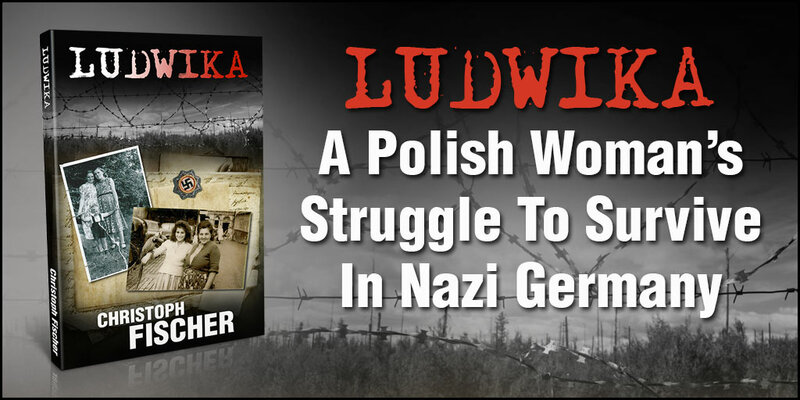 It is a fascinating historical novel with a narrative set in Berlin of 2005 during which events 60 years prior to this are slowly being uncovered. Aisling, the contemporary protagonist, is an Irish woman who flies to Berlin for a family funeral There she finds unsent letters and information relating to her grand-aunts time in a labour camp for foreigners in Nazi Germany. It is a lesser known area of history with little exposure in literature so far and will certainly be of interest to many readers. The historical details are accurate and paint a good picture of the time and place and there is good character development and much reflection. Personally, I must admit that I found the narrative structure distracting, despite undisputed gains from this for the story. The book benefits however from strong writing and editing and has a wonderful cover. I reviewed the book for the Historical Novel Society, Indie Section. I am pleased to welcome Margo for a short interview. Please tell us a little about yourself as writer and as person. In 2009, I decided to fulfil a lifelong ambition to find time to write literary novels. In November of that year, I was short listed for the Virginia Woolf prize, run by a small independent publisher, for, “Bone and Blood.” While redrafting it, I also worked on several other novels and spend my time between rural Donegal and Berlin.I was born in Northern Ireland and I’ve always been an avid reader of fiction where I have empathised with the experience of other histories and other cultures. I studied English Language and Literature in Queens University, Belfast where Seamus Heaney was one of the lecturers who inspired me. For many years I was distracted from writing fiction by my involvement in campaigns or professional work for equality and human rights – rights of women, children, young unemployed, Travellers and many others. I worked for Save the Children in England for 15 years and my interest in working with diverse communities took me to Lille in France and Brussels in Belgium. I met my husband in Germany along the way and that relationship takes me to Berlin. I would describe it as inter-generational fiction linked to real historical events rather than historical fiction. 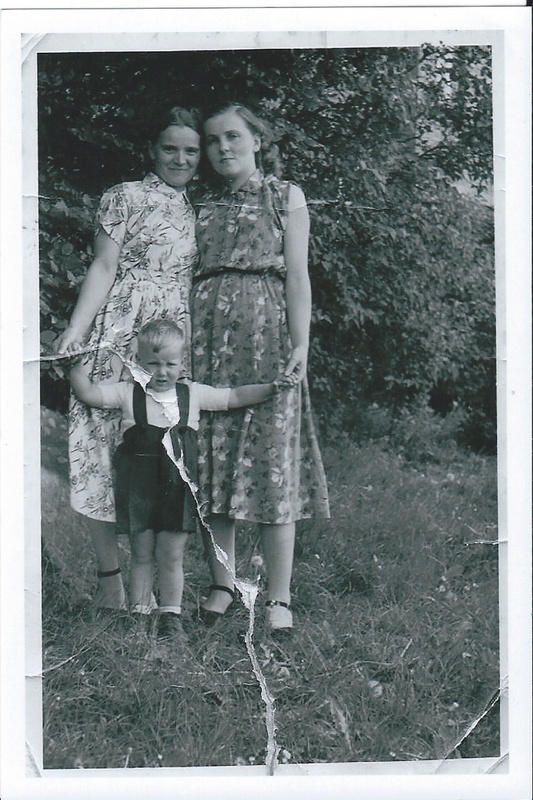 I explore identity and belonging in the 21st century and the impact social conflict in the 20th century has on family connections. What in particular fascinates you about the era(s) you write about? 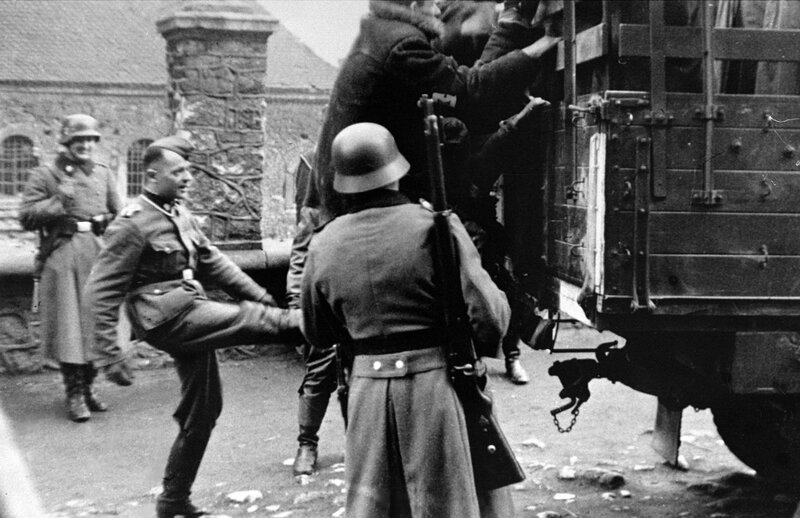 I am fascinated by how some people can follow a fascist leader like Hitler and how others risk their lives in resistance, while the vast majority are carried along by events and reaction to events. I am particularly interested in the dynamic of inequality, where women, young people or minorities are often marginalised, labelled and mythologised. This dynamic is dangerous to us all. Bone and Blood” was inspired by a visit to Ravensbrück concentration camp near Berlin where I found out some Irish women had been imprisoned during the Second World War. My subsequent research has been built into the main character, Brigitte. The younger character Aisling came along to make the link between the history Brigitte survived in Berlin and present day Dublin. I ‘m the sort of person who’s always busy. I love playing out in the garden, construction projects, walking, observing wildlife. There’s a lot of coming and going in my life. We rent out part of the house as a self-catering unit, so during the summer months there are visitors from all over the world. I have to travel to visit friends and family or for writing events. II like satire which makes me laugh at myself or which twists familiar situations like the writer Flann O’ Brien or the TV series Father Ted or Modern Family in US. I’d love to invite Virginia Woolf but as she’s dead, her ghost makes for an easy dinner guest. I’d also like other women writers like Lia Mills (The Fallen), Martina Devlin, Louise Phillips. The title, Bone and Blood comes from an old English poem. A friend in Berlin who is a composer and conductor liked the poem so much, she wrote and tan original piece and it was performed by a choir at the launch. It’s on YouTube. 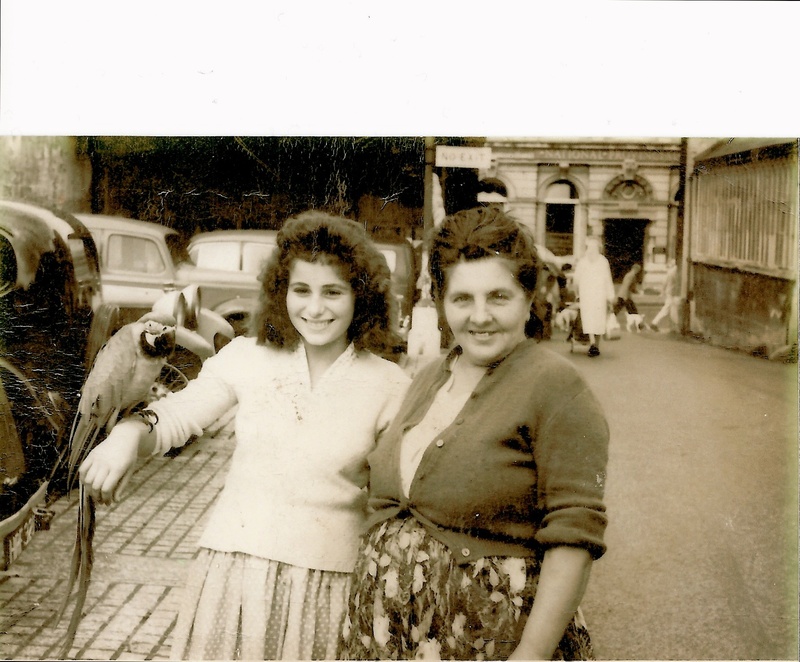 My second novel is based in Manchester and tells the story of three generations of women. Alex, the youngest, playa and studies music and makes several journeys exploring the impact of sectarianism on her grandmother, Mollie, in Glasgow and Northern Ireland. 2016 is the year for a major redraft plus working on a few other drafts of novels sitting in files. Did anyone influence you / encourage you to become a writer? A teacher when I about 11 told me she saw me as a published writer and that image stayed with me. I’ve written unpublished poetry, stories, journals and literary analysis as a hobby for decades. I’ve had some non-fiction related to work published along the way. Who would you cast to play the characters in a movie? I can visualise a film of Bone and Blood with Judy Dench as Brigitte and Saoirse Ronan as Aisling. The best is when people tell me how my writing affirmed them or challenged them in some way. The worst is the isolation and insecurity. How do you balance marketing one book and writing the next? I’ve been pretty hopeless at marketing Bone and Blood – lots of good intentions about blogging regularly and connection with my network through Facebook, Twitter and Instagram have come to very little so far. I suffer from a block against social media. The demand for spontaneity and immediacy conflicts with the rewriting, redrafting creative energy on the novels I have in the pipeline. I don’t mind being public but don’t like self-promotion. My partner, Schorse Rennert, is the first to read a draft. I often make changes based on his reactions. 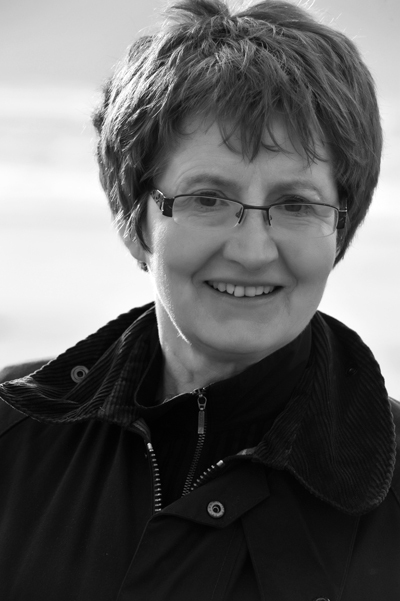 My editor, Cressida Downing, the bookanalyst.co.uk provides great advice on pacing, structure, plot, characters. I do an entire redraft based on her comments and suggestions. Who are your favourite authors? Virginia Woolf and Flann O Brien. What (not who) would you like to take to a lonely island? My laptop and a solar generator to power it. Hot or cold? I’m mostly hot and salty rather than cool and sweet. How have you found the experience of self-publishing? What were your highs and lows? I really enjoyed being involved in each step of the publishing process. 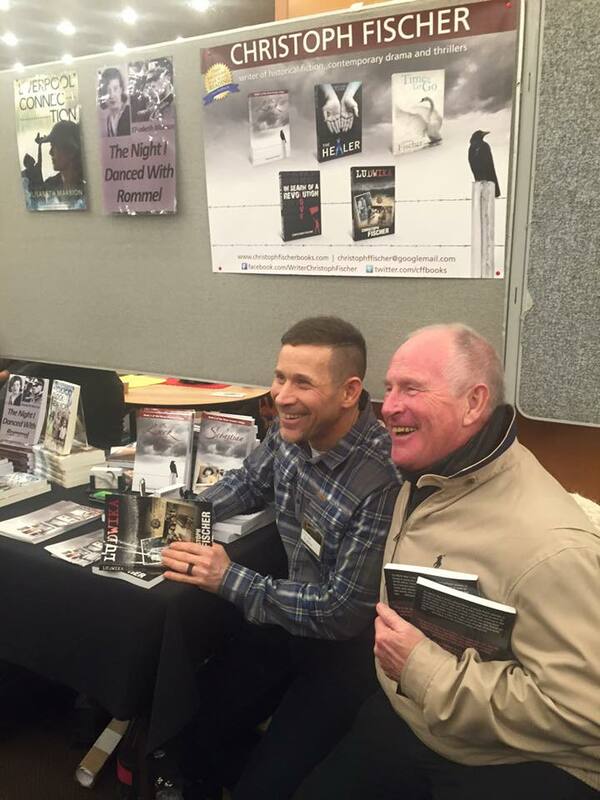 Matador provide lots of services and I wouldn’t have managed self-publishing without the support of the team there. The launch of Bone and Blood in Berlin was a real high as lots of people came and got involved in an event that was more than a launch – a great tours of the graveyard, a reading by Seamus Heaney ‘s ghost etc. The worst experience is feeling solely responsible for the success or otherwise. It’s a lonely place at times. 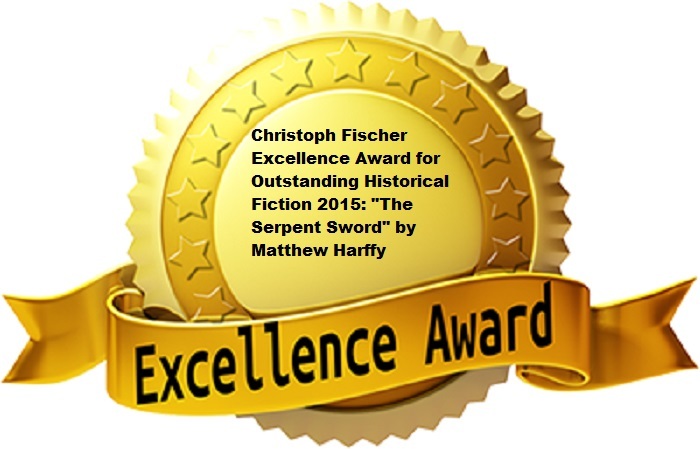 I’m delighted to announce the release of the eagerly awaited new historical novel by Matthew Harffy, author the of award winning The Serpent Sword. Before The Battle of Hastings. Before Alfred fought the Danes. Warlords battled across Britain to become the first King of the English. When Beobrand’s valour brings about a stunning victory against the native Waelisc, the King of Northumbria rewards him with riches and land. Beobrand wishes for nothing more than to settle on his new estate with his bride. But he soon finds himself beset with enemies old and new. He even fears that the power of a curse has him in its grip, as he begins to lose all he holds dear. With treachery and death surrounding him, Beobrand confronts his foes with cold iron and bitter fury. On his quest for revenge and redemption, he grudgingly accepts the mantle of lord, leading his men into the darkest of nights and the bloodiest of battles. 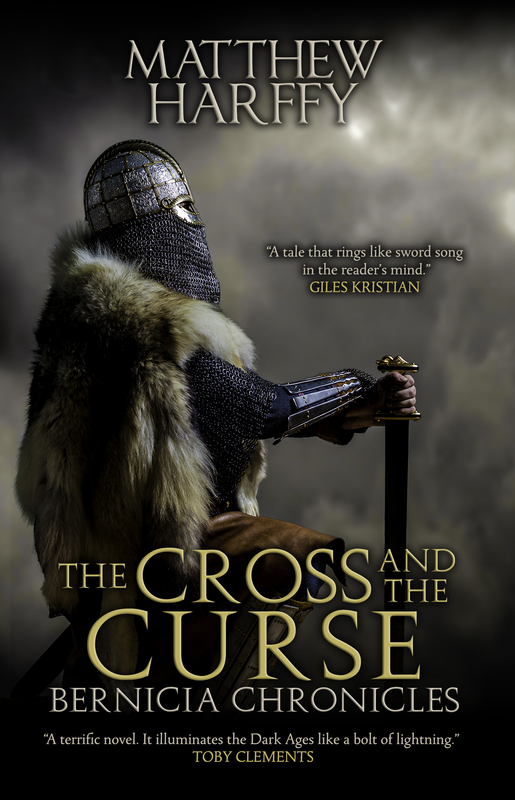 The Cross and the Curse is the second novel of the Bernicia Chronicles. 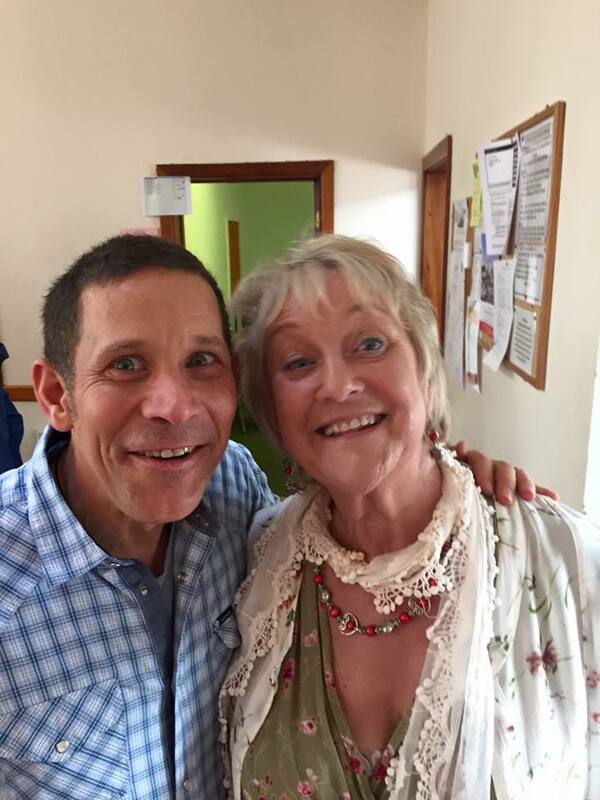 Today I have the pleasure of introducing author Jan Ruth. Welcome Jan, please tell us a little about your connections to Wales, what you like best about Wales and a bit about yourself. 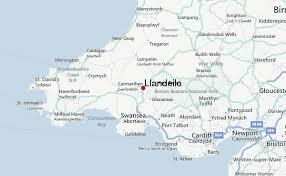 Twenty years ago we moved from Cheshire to North Wales. 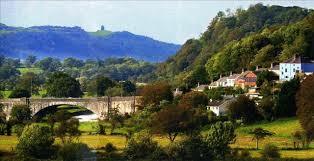 Although Cheshire has its history and pretty rural surroundings aplenty, Wales is far more extreme in both aspects. The castles and the rugged hillsides scattered with stone settlements, druid’s circles and Roman roads bring out the historical muse in me. To think that I am treading the same path as someone who lived in the Iron Age, is both fascinating and humbling. Snowdonia kick-started my stalled obsession with writing in a very positive way. The only historical event I can remember with any accuracy is good old 1066 and The Battle of Hastings. At school I was hopeless at dates, in fact anything to do with numbers, but I used to love history because sooner or later it usually involved writing a lot of essays. Now though, I suspect there may be more to it. 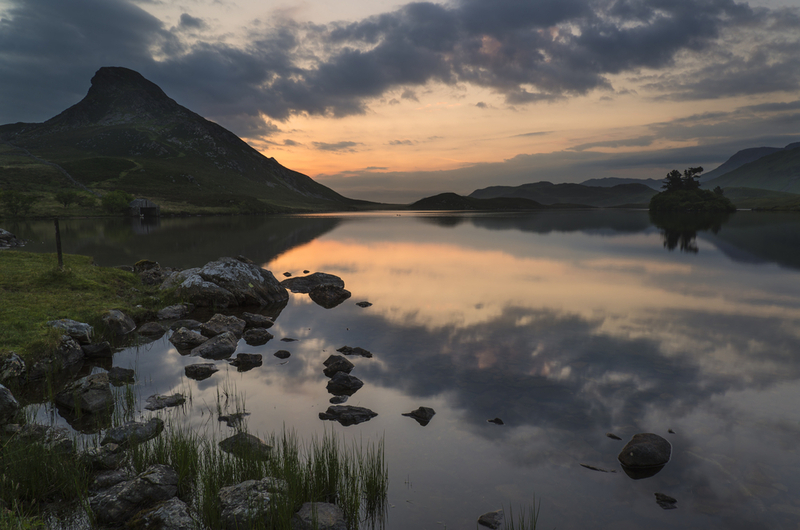 The longer I live and the more places I visit in the world, the more connected I feel to my roots, or more specifically my spiritual home, Snowdonia. All this whimsical talk of the past makes me sound as if I write historical based fiction. Far from it. Much as I admire many other genres I tend to be very much rooted in current times and my work reflects a lot of my own life experiences. But this is where I find the two ideas merge a little because I am most certainly inspired by this Ice Age landscape and the idea that what has gone before, shapes what we see today, but does it shape what we feel, too? I am certainly in my creative comfort zone tramping up the hills on a moody day. There’s no better way of plot busting. The tiny church of St. Celynin (sometimes known as Llangelynin) is a great find for historians, spiritualists, all kinds of artists, and a certain weary walking writer! It’s quite a climb, some 900 feet above the village of Henryd, but sheltered from the Irish Sea by the comfortable bulk of Tal-Y-Fan. It proclaims to be the most remote church in Wales and due to its location, it is actually better accessed on foot or on horseback, but that’s just me wearing my whimsical hat again. I guess you could ride a quad bike or get a 4×4 along the green lanes and tracks up from the village, but that would spoil the experience considerably. Someone said that ‘The centuries of men’s hands on the same stones put the feeling into a place’. I can relate to this and there’s no better way of making that connection than scrambling over those very same walls and finding a way across the hills. Even the names of the mountains are laced with enough magic to fuel the effort.So, I fling myself down on the rough grass, or if the mountain weather is inclement, sit awhile in the porch to drink coffee and just… fall into the dreamscape. I love the way ancient history here is often blurred by myths and legends, shape-shifters and superstitions. Rich then, in history and romance and easy enough to blend both, with a touch of fantasy and suspense. Especially so when the winter sun is low in the sky, sending out early shadows to creep across the crooked stones of derelict homesteads and graves. And late sunsets in summer, when the scudding clouds floating in a fiery sky take on the shape of dragons and rearing horses. Or maybe, when the druid’s circle is shrouded in mist and… can you hear something? Like the clink of marching armour and the clash of swords…there’s something moving out there, or is it just my imagination. Why are you writing in your chosen genres? Fiction which does not fall neatly into a pigeon hole has always been the most difficult to define. In the old days such books wouldn’t be allowed shelf space if they didn’t slot immediately into a commercial list. As an author I have been described as a combination of literary-contemporary-romantic-comedy-rural-realism-family-saga; oh, and with an occasional criminal twist and a lot of the time, written from the male viewpoint. No question my books are Contemporary. Family and Realism; these two must surely go hand-in-hand, yes? So, although you’ll discover plenty of escapism, I hope you’ll also be able to relate to my characters as they stumble through a minefield of relationships. I hesitate to use the word romance. It’s a misunderstood and mistreated word and despite the huge part it plays in the market, attracts an element of disdain. If romance says young, fluffy and something to avoid, maybe my novels will change your mind since many of my central characters are in their forties and fifties. Grown-up love is rather different, and this is where I try to bring that sense of realism into play without compromising the escapism. I’m very much an outdoor person, so hillwalking and horse-riding are always my preferred time wasters, and I really do have to get moving off this chair! I’m currently writing part three of The Wild Water series. This is the story of Jack Redman, the wronged alpha male who’s trying to make the best decisions for his family but more often than not, gets kicked in the teeth. How often we read novels in the contemporary genres which consistently root for the female character – nothing wrong with a strong woman, of course – but no one seemed to be telling these stories from the male viewpoint, at least not twenty years ago when I began my quest. Divorce still seems heavily weighted towards the partner with the children, and the mother is usually awarded custody unless there are extenuating circumstances which can be proved. Most of the time this is all well and good, but there are a great number of cases where our ancient system is fully exploited. Sadly, a lot of the initial storyline was prompted by real-life experience but there’s no better starting point than this for fiction in the family-saga genre. 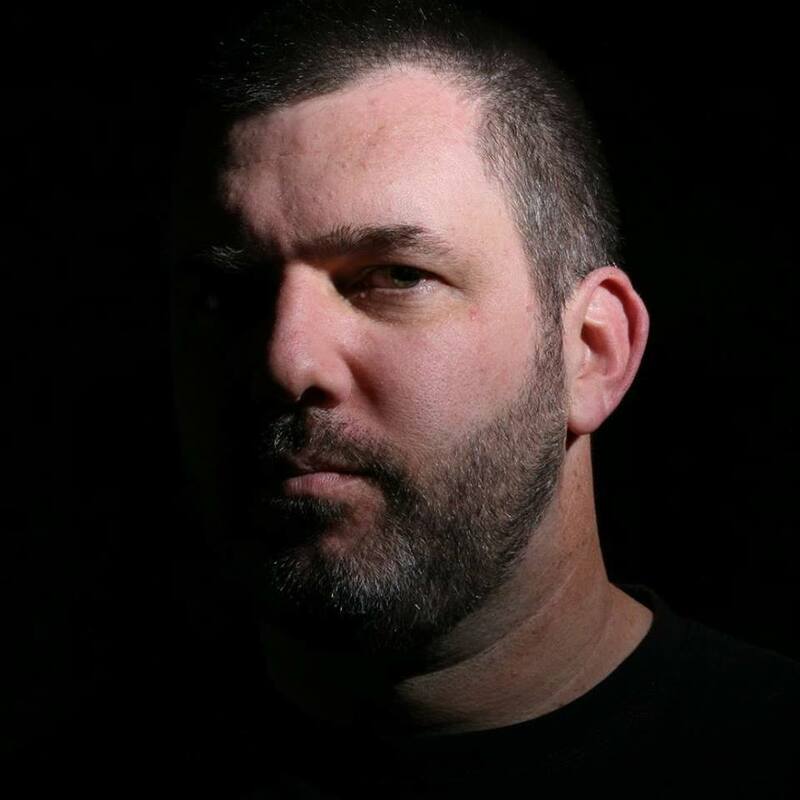 Jack Redman is a victim not only of the court system injustices but of its inability to deal with the speed and complications of contemporary family life. Quality and consistency is incredibly important. If you are poised on the brink of self-publishing your first book, or if you already have a row of these beauties on your virtual shelf but maybe harbour a niggling doubt they could be better… please consider talking to John Hudspith first and listen to one, clear opinion. If you spend on nothing else or have limited funds available, editing and proofreading is King and Story-is-everything-else. I’ve worked with well established literary agencies and respected agents in my distant past and in my opinion, John’s advice and editing is on a par with London prices, at a fraction of the cost. I could have saved myself heaps of time, dead-ends and cash. Where to start? My self-publishing journey has been up and down, round the houses and back again. I signed with a small press in 2014 and a year later asked to be released from all contracts, so be careful what you wish for! Publishing is a different experience for each and every author. Any perceived failure or success is dependent on a lot of individual criteria, how you measure it and what you learn from it. The process of trade publishing has less to do with the quality of material than you might presume, but it has a lot to do with what is or isn’t marketable at any one time. This isn’t bad business, it’s about making money to stay afloat. Small publishers are in exactly the same boat as the independents, but with far more overheads and problems with staff. Some of these staff may be inexperienced or learning ‘on the job.’ These small companies are up against the same fast-moving on-line industry as any independent but perhaps without the resources to manage it effectively, let alone build a lively following on Twitter; a following which has the power to engage. Traditional publishing, by its very nature, is painfully slow and this produces a massive clash with the shifting sands of on-line business.We perhaps don’t realise how fine-tuned independents have become in this respect. We all know marketing is a full-time job. 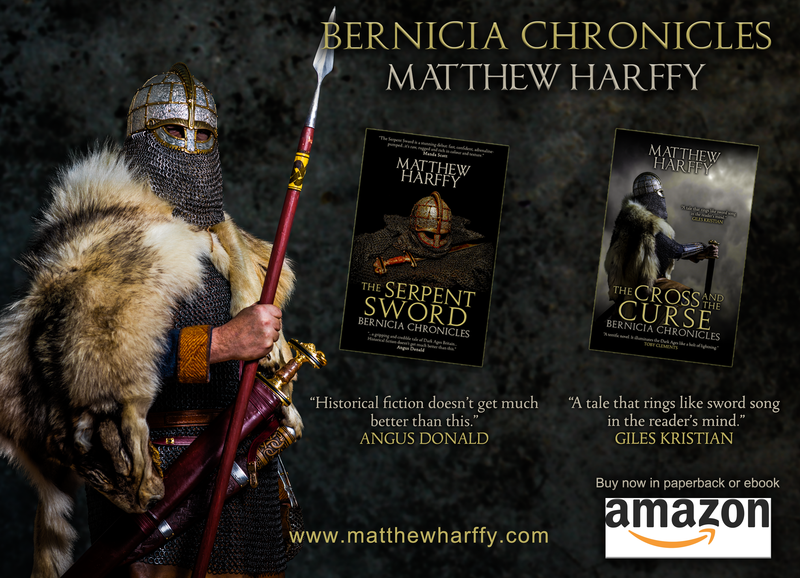 Looking after the detail which includes fine tuning those book descriptions and keywords, sustaining an active presence on social media sites, writing articles and taking advantage of the best days to run a promo deal for that new political saga set in Scotland… it’s not going to happen. Imagine trying to handle the marketing at this level for 500 authors with several titles each… Impossible. It’s highly unlikely you’ll make lots of money! Take your time with the material, strive to produce quality. Jan Ruth writes contemporary fiction about the darker side of the family dynamic with a generous helping of humour, horses and dogs. Her books blend the serenities of rural life with the headaches of city business, exploring the endless complexities of relationships. The real story began at school, with prizes for short stories and poetry. She failed all things mathematical and scientific, and to this day struggles to make sense of anything numerical. Her first novel – written in 1986 – attracted the attention of an agent who was trying to set up her own company, Love Stories Ltd. It was a project aiming to champion those books of substance which contained a romantic element but were perhaps directed towards the more mature reader and consistently fell through the net in traditional publishing. Sadly, the project failed to get the right financial backing. Many years later Jan’s second novel, Wild Water, was taken on by Jane Judd, literary agent. Judd was a huge inspiration, but the book failed to find the right niche with a publisher. It didn’t fall into a specific category and, narrated mostly from the male viewpoint, it was considered out of genre for most publishers and too much of a risk. Amazon changed the face of the industry with the advent of self-publishing; opening up the market for readers to decide the fate of those previously spurned novels. 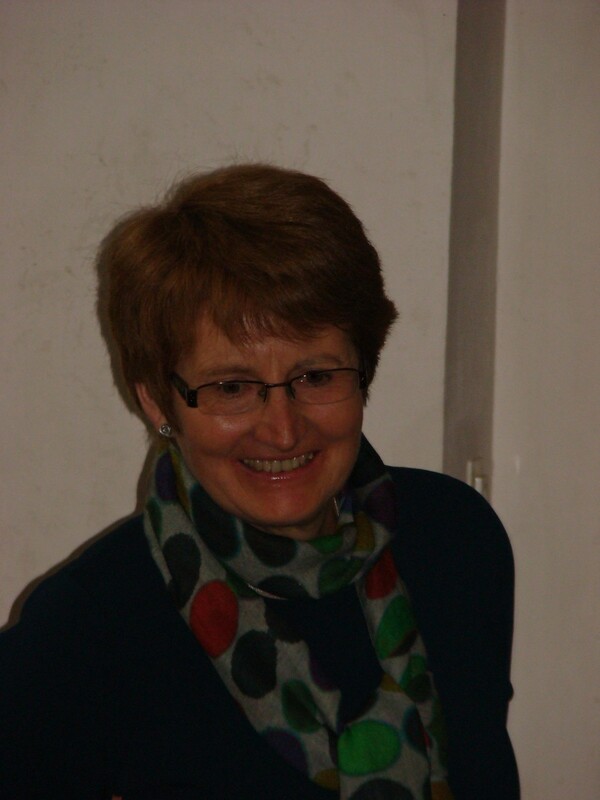 Jan went on to successfully publish several works of fiction and short story collections and after a brief partnership with Access Press in 2015, has returned to the freedom of independent publishing. I have read a lot good things about this book, the subject matter and story outline were fascinating, too. At long last I got a chance to read and review the book myself. Clare Thorpe’s need for order and symmetry governs everything she owns – from tins and toiletries, to cushions and clothes. Yet she has always managed to hide the compulsions dominating her world. Until now. When long-distance boyfriend Tom proposes, her secret life begins to unravel. How can she share a future with the man she loves, if she can’t even share her space? And when the only way forward brings a threat greater than any compulsive behaviour, do they have a future together at all? A poignant and humorous story of love, family, secrets…and military precision. This book is truly oustanding. It handles the subject matter of compulsive obsessive disorder very well. The young woman, Clare, who tells the story, is a perfect character to let us into her world of compulsions. I was in awe of the many small ways that her disorder about disorder (vague quote from the book itself) is shown to us readers. We get some idea about her family background and why she has developed the disorder and how she coped with it until she accepts Tom’s proposal. He is almost too good to be true and for a few chapters I struggled with him as her fiance. She hasn’t told him about the problem, in fact, she only now begins to look for a solution. Things don’t exactly go smoothly from here: There are family problems and many other factors that complicate the path to the book’s ending. It feels as the novel has been researched really well, everything is believable and the background characters fit into the mix very well, too. The year is short but this is a strong contender as one of my favourite reads of it. The book flows naturally and shines with sensitivity. It never feels as if you are being taught or educated, and yet, you are. I absolutely loved it and want to thank the author for writing this marvel. 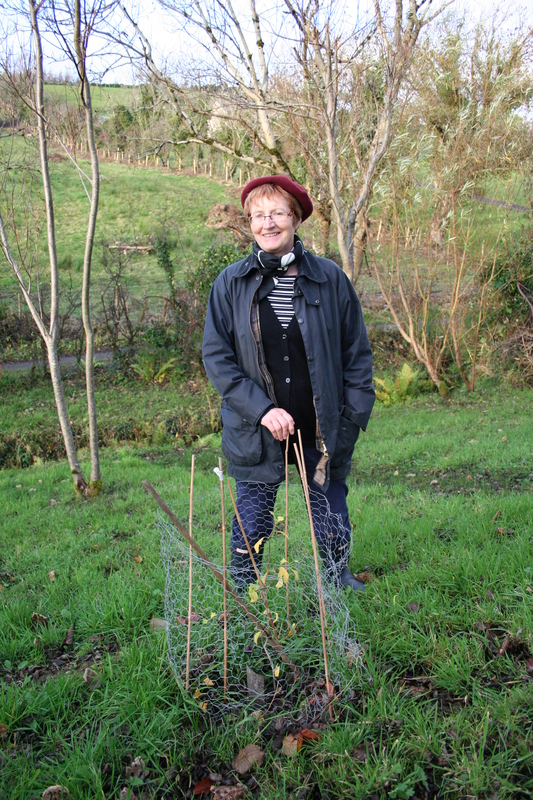 Helen Barbour was born and brought up in Lichfield, Staffordshire, and now lives in North London. 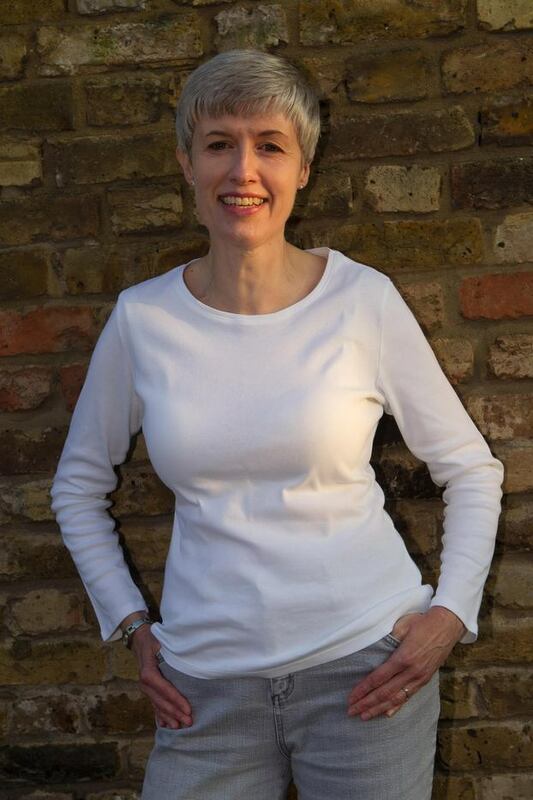 She began her working life as a journalist on the Express & Star evening newspaper in Wolverhampton, and has written for the lifestyle magazine, Complete Wellbeing, and for the mental health charities Mind and OCD Action. She blogs as The Reluctant Perfectionist about living with obsessive compulsive disorder, perfectionism and anxiety. 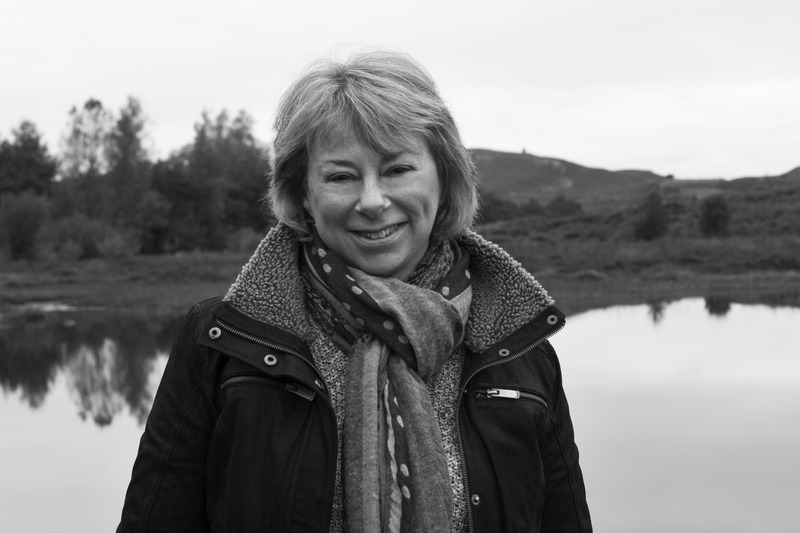 Helen enjoys red wine, live stand-up comedy and adventurous travel and experiences, which have included trips to the Arctic, ballooning and a tandem skydive. Her life’s ambition is to figure out what ‘good enough’ means. 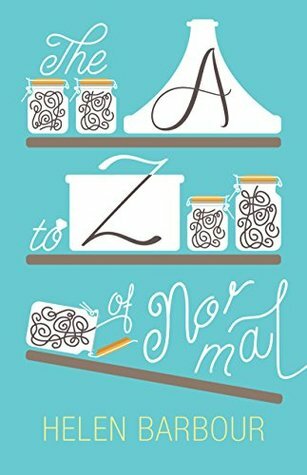 The A to Z of Normal is Helen’s first novel. I’m absolutely delighted to welcome crime-writer John Holt today. Please introduce yourself to my readers, John! Born in 1943 in Bishops Stortford, Hertfordshire. I now live in Essex with my wife Margaret, who I married in September 1969; my daughter Elizabeth, and our cat, Missy, who actually adopted us deciding that she wanted to live with us nearly three years ago. For many years I worked in local government as a land surveyor, spending some time with the Metropolitan Borough of Stepney, the Royal Borough of Kensington and Chelsea, and the London Borough of Tower Hamlets. In 1972 I was employed by the Greater London Council, as a Senior Project Manager, remaining with them until the Council was closed down in 1986. I then set up my own practice carrying out property surveys, and preparing architectural drawings for extensions, conversions, and new builds. In 2004 I had a heart attack, which had a major effect on my business, and I eventually retired in 2008. I have also been concerned with animal welfare, and for many years I was Chairman of the local branch of the Royal Society for the Prevention of Cruelty to Animals. Just to get a flavour of your personality, how would you describe yourself as a colour? Well I’m basically a light kind of a person. I tend to see the best in things. What you see is what you get. But I can be serious when the situation arises. So I guess probably a pastel purple would be appropriate. Sounds lovely! Are you a morning person, or a midnight candle burner? I’m certainly not a morning person. I tend to stay up until midnight. That’s not working you understand. That’s watching old movies on TV. I have about 1200 old films on DVD or video tape. A great mix. When did you start writing and why? I suppose, like many people, I had always wanted to write a novel, but I could never think of a decent original plot. Then in 2005 we went to the Austrian Lake District. We stayed in a small village Grundl situated on Lake Grundlsee, the first of three lakes in close proximity. The next lake was Toplitz. This lake was used by the German Navy, in World War 2, to test rockets, missiles, and torpedoes. As the war drew to a close many items were hidden in the lake – weapons, documents, counterfeit dollars, and pounds sterling, and jewellery. There were also rumours of gold bullion being placed into the lake, with plans to recover at some later stage. After the war extensive searches were carried out. These searches went on until the middle of the 1980s. Millions of counterfeit dollars and pounds were discovered; documents detailing where stolen artefacts were hidden; weapons; jewellery, but no gold bullion. A plot began to form in my mind, and in December 2006 “The Kammersee Affair” was published. Excellent! Your general genre is crime, then. Why did you choose to write crime? I have always been a fan of the detective film noirs from the late forties, and early fifties. Humphrey Bogart, Edward G Robinson, Cagney – great stars, great entertainment. I loved the style. The hard-nosed clever wise cracking detective who always solved the crime. I thought that maybe, just maybe, I could recreate those times, and that kind of story. “The Mackenzie Dossier” was published in 2008. I very soon realised that I had failed in my recreation attempt, but I had done better, I had created my own unique style. I now have five novels, and three novellas, in the same genre. Would you like to write a different genre? I’m quite happy with my chosen genre. It is the genre I prefer to read. 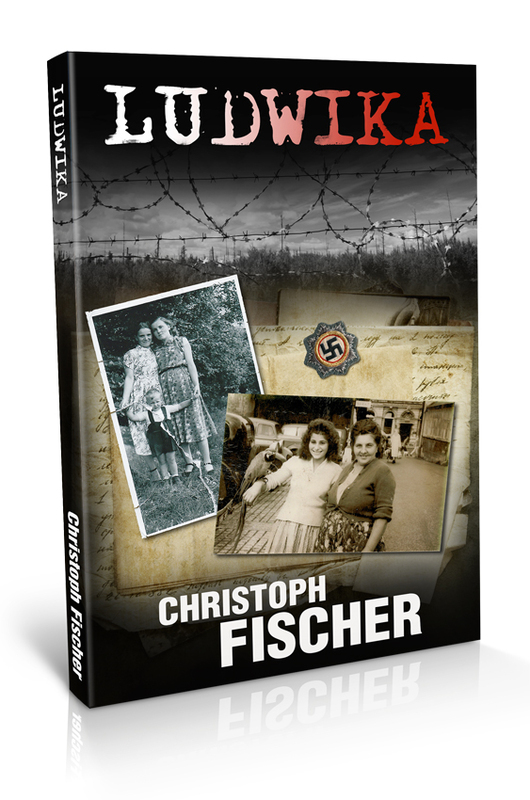 Having said that, my first novel, “The Kammersee Affair”, was set during, and just after the Second World War. I have also written a historical fiction novel set during the American Civil War. “The Thackery Journal” is a what if story concerning the assassination of President Abraham Lincoln. Would you ever consider a joint project? I like to think that my style is my own. It has much of my personality and much of my particular brand of humour. Unlike many modern authors there is no bad language in my books, and no graphic violence, and no sexual references. On that basis I would never be able to work with another author. So no, I would never consider a joint project. Which of your characters is your particular favourite? 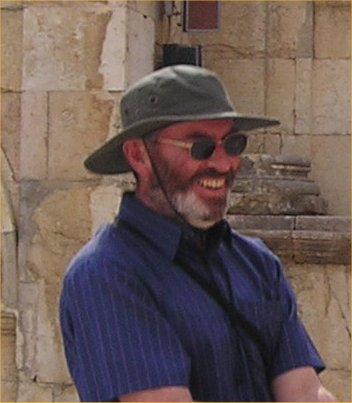 Tom Kendall, my laid back, private detective, has appeared in five of my novels. He is by far the most prolific of my characters, and has developed as time as gone by. Clearly he must be the favourite. Not well, but what can you do? There’s no point sitting staring at the computer waiting for the words to miraculously appear. So I just leave it alone, and hope that sooner or later inspiration will come, and the words will flow once more. Do you write long hand first, or does it go straight onto the computer? I admire people like Charles Dickens who clearly wrote long hand, starting at page 1, and going on till the end. I couldn’t do that. Although I might have a basic outline of a story, I have to write as I think of something. Then it goes straight on to the computer in where I think is the appropriate place. It may be that when I think of something else to add changes might be made. So your work isn’t based on real-life experience, I imagine. 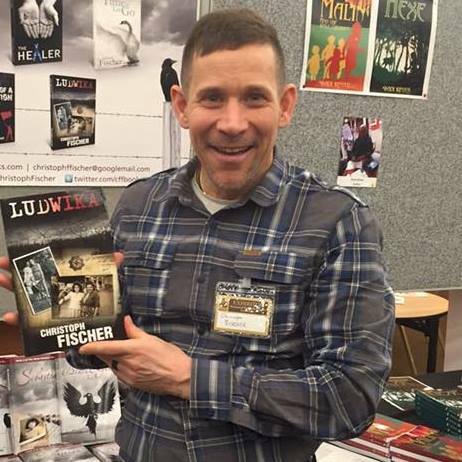 I write about crime, murder, robbery, blackmail. These aren’t events I come across in my day to day life. I don’t know any criminals; I don’t know any private detectives either. My stories are pure imagination, and purely for entertainment. I write because I enjoy it, and I hope others get that same enjoyment. What are you working on now? Would you like to share anything about it? I have been working on a sixth novel to feature Tom Kendall. It is close to being finished, but is being a little stubborn. Remember we were talking about writers block earlier on, well ….. Last year I wrote three novellas featuring another private detective, Jack Daniels. I have made a very tentative start on a fourth, but it is early days yet. What I am doing, however, is getting those novellas translated into other languages. So far “Trouble In Mind” has been translated into Italian; and is currently being translated into Portuguese, and Spanish; and “The Candy Man” is being translated into French and Dutch. Fantastic! Please let us have your social media and book links! Thanks for joining me and my readers today and all the best with your writing, John! Thanks for having me, Siobhan. While Inge H. Borg’s Khamsin, The Devil Wind of the Nile (Book 1) is pure historical fiction playing out in 3080 BC, during Egypt’s First Dynasty, her modern-day action/adventure sequels in and around Egypt contain some real events. In Sirocco, Storm over Land and Sea (Book 2) she uses the Arab Spring as a backdrop. Then, in After the Cataclysm (Book 3), the North American Yellowstone Supervolcano erupts. Luckily for us, this happens within the fictional realm of the story (although scientists do predict this to happen—sooner or later). The Crystal Curse (Book 4) reveals a huge mysterious structure buried southwest of Cairo: The Lost Labyrinth. It is there, although the Egyptian government denies its existence. Imagine the mighty Nile running dry due to human interference. Impossible? Only too soon, this very threat may become a devastating reality. 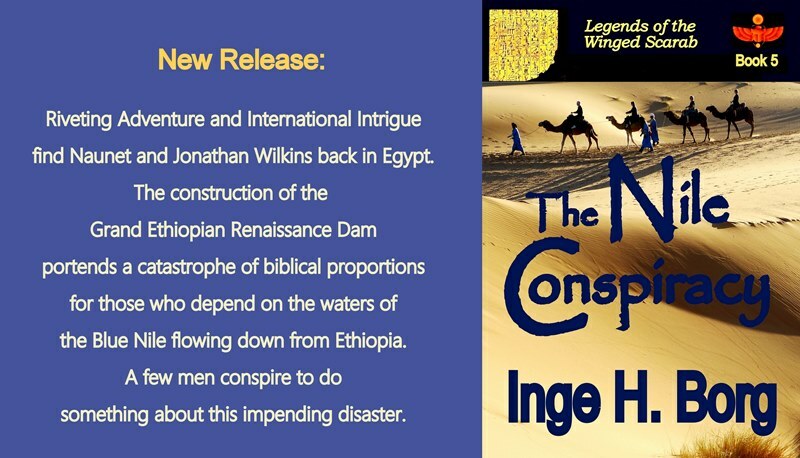 Riveting adventure and international intrigue find Naunet and Jonathan Wilkins back in Egypt where the construction of The Grand Ethiopian Renaissance Dam portends a catastrophe of biblical proportions. Amidst their struggle to save an ancient site, the archaeologists are caught up in a dangerous conspiracy. Their explorations become a death trap when the desperate Egyptians decide to turn a huge secret underground labyrinth into an emergency reservoir. Will the combined recklessness of two governments explode into the annihilation of its people? In The Nile Conspiracy, several characters, good and evil, from the series’ preceding volumes are once again pitted against each other, the elements, and time. 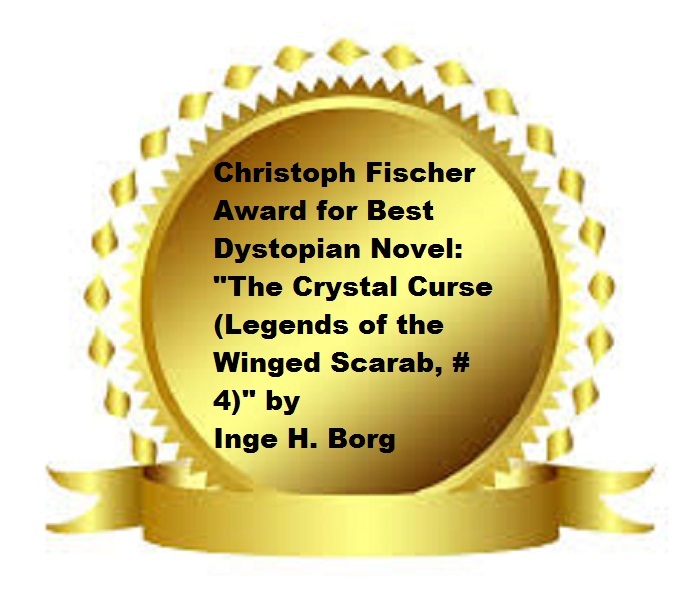 Borg captures the struggles of an economically depressed Egypt by skillfully combining the challenges of her post-apocalyptic world with the awe-inspiring legends of an ancient culture. One can only hope that the terrifying events in this novel remain a figment of Borg’s imagination. Borg weaves the construction of a monster-dam being built by Ethiopia into her premise of her new exciting action tale. The dam is a very real threat to Egypt’s future water supply, as it will take the Blue Nile five years to fill the enormous catch basin. When diplomacy fails, somebody needs to do something about it; and who else is better suited than Borg’s protagonists? Here is a link to her blog, my review of book 4 (The Crystal Curse) and a link to my interview with Inge. 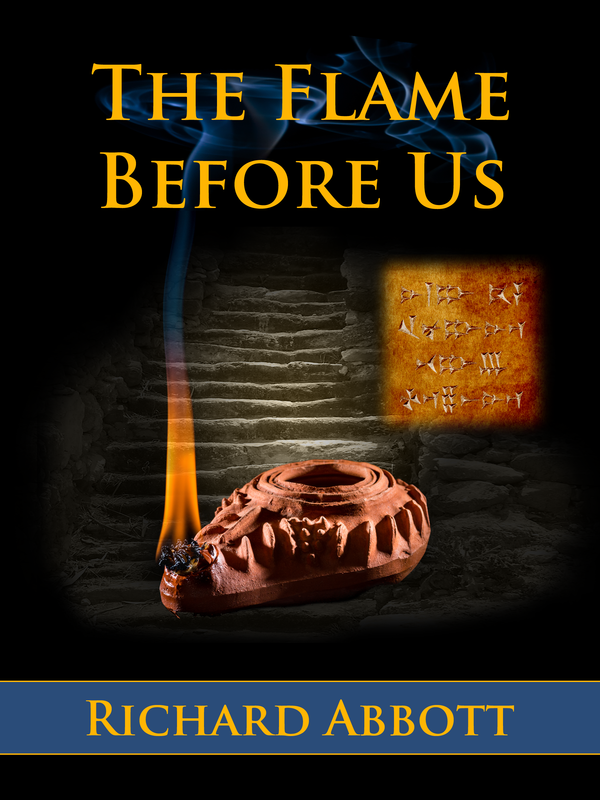 I had the great pleasure of reviewing “The Flame Before Us” by Richard Abbott for the Historical Novel Society. It is a competently written and fascinating novel set in 1200 BC in what is now Syria, Gaza, Israel and Egypt. The Sea People, a group whose origin is subject to speculation, invade and bring down several cities in the Mediterranean. Having traveled in the area extensively and having studied Ancient Greek at school, I found the book incredibly interesting. Abbott’s background as scholar in the field made the position he takes on the matter compelling and believable. The descriptions, characters and stories are as engaging as his extensive author’s notes, which include invaluable historical background information, maps and an index of the many characters. The book ended up on my reviewing pile by accident but I’m very pleased that it did. Wide in scope and rich in detail and plot, this is an accomplished illustration of said era in the region: complex, informative, enjoyable and skilfully put together. I had to invite Richard for an interview and am glad he kindly agreed. Welcome to my blog. Please tell us a little about yourself as writer and as person. I suppose I have to start with being a reader, something which has been a passion of mine since very early life. 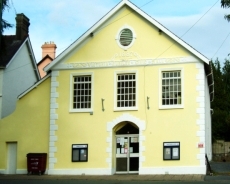 My parental home had lots of books in it, and further afield in the town of Godalming where I grew up, the public library was another great source of material. So I devoured historical fiction, science fiction, fantasy, and a whole lot of non-fiction books on different topics. Fast forward a lot of years, family life, academic study, work, and all, and the desire not only to read but also to write came to the surface. Which is where I am now. Perhaps like many of us, I write partly to challenge myself and explore my own diverse thoughts and feelings, and partly for others who seem to enjoy and appreciate the results. Well, the very first attempt was as a child after reading a book by Andre Norton, Star Rangers: I wanted to write a sequel to her excellent novel. It was all long-hand, pen on paper, and I don’t think I got more than a couple of pages done. But there was a key moment when I thought of creating something new for myself rather than just absorbing from someone else. Then as a postgraduate I had an idea for a time travel book. That got a bit further, but ran out of steam as I realised I had no real idea where the story was going and how to achieve narrative closure. Then it all stayed under wraps for many years until the experience of studying ancient world literature reawakened a desire to be creative for myself. The books basically deal with the lives of the people in a fairly unimportant hill country village, in the area we now call Israel and Palestine. I’m personally more interested in everyday lives than those of kings and generals, and I think this shows in the preoccupations which emerge in my writing. As the Late Bronze Age gave way to the Iron Age, the Canaanite hill country faced all manner of different pressures and absorbed different peoples. A way of life which had persisted for many centuries gradually crumbled, and the pattern of life for both men and women changed radically. So the intriguing question for me is, how were these huge changes reflected in everyday experience? My fascination was originally with the literature and especially the poetry of the Late Bronze age near east. I completed a PhD thesis in which I aimed to show that there were cross-cultural borrowings between nations and ethnic groups, in particular between New Kingdom Egypt and the Levant. The Late Bronze Age was a time of great cultural intermingling in religious and artistic matters, so it is really no surprise to see this in the written word as well. The ways in which literate people expressed themselves – the formal structures and conventions they used – are different from modern ones, but via the Hebrew Bible they have shaped part of European thought. For various reasons I didn’t want to carry on an academic career, so once the thesis was done I turned to exploring the age in fiction. Well, for a day job I work as an IT specialist, testing that computer programs written by other teams really do the job they were intended to do. It’s a stimulating job with all kinds of different aspects, both technical and human. London is a lively place to live, but I am drawn more to the quieter benefits – the museums, the parks, films and so on. I particularly like walking outside the capital, in one of our national parks or along one of the long distance national trails. Earlier this year I completed the Ridgeway, part of a very ancient track which originally ran from the North Sea to the Channel: not only a journey through some great countryside but also a sense of walking along the same paths that remote ancestors would have done. I’d actually like to invite people whose names we don’t know! That might be difficult… but it’s all a part of my deep fascination with the lives of people who history does not record. To be literate in the ancient world was a rare thing, but few signed their work. We know the names of hardly any of the scribes and officials who laboured to pass knowledge down to us. So I’d like to invite to dinner the scribe who painted the walls of the tomb of Nebamun just outside Luxor. He doesn’t know it, of course, but he was part of the inspiration behind my second book, Scenes from a Life. And it would be fascinating to have a real Canaanite hill country priest at the table, and see just how far off my portrayal of Damariel was! Plus their wives and families, of course: I’d want to make sure they knew they were all welcome. I have loved Ursula LeGuin’s writing ever since I first discovered EarthSea back in university days. But in general I have favourite books rather than favourite authors. And it also depends on mood – there are days when the thing that suits me best is wild and slightly mindless space opera as a means of getting away from the present. I couldn’t in any way say that it makes for great literature, but there are days when it fits the bill perfectly! Actually I’m reading three books at the moment, swapping between them according to mood and to let parts of each sink in to me before moving on. Fittingly, there’s three different genres as well. There’s historical fiction – The Long Shadow, by Loretta Proctor, set in First World War Greece. Then fantasy – The Dead Gods, by Robert Bayliss, a follow-on book set in a lively and fascinating world. Then there’s a piece of ancient literature from India (in translation) – The Recognition of Shakuntala, by Kalidasa, a great classic work describing the eternal themes of love lost and found. The first two are ebooks, the last a small hardcover I found somewhere. I must admit to preferring ebooks for convenience (unpopular in some circles as that opinion is). Within historical fiction there are three books – In a Milk and Honeyed Land, Scenes from a Life, and The Flame Before Us. They are set in the same area, about 10 or 20 years apart from each other, and are quite loosely linked, mainly through individual characters. I would like to write one more in this series, to complete a quartet covering the life of Damariel, the village priest who is central to In a Milk and Honeyed Land. They move in progressively larger circles. The first takes place entirely within a few days’ journey of the hill country village where Damariel grew up. The second begins far upstream along the River Nile, following the inner and outer journeys of a scribe in Egypt and ending up in Canaan. The third begins to the north, in what we now call Syria where the city of Ugarit is sacked by invaders: it follows the separate tracks of invaders, refugees and defenders of the land until they all come together. To date my science fiction writing has just a single book, Far from the Spaceports. This introduces the main characters and their job, which is basically to investigate interplanetary fraud. There will for sure be more of these to come. An interesting question! I’m actually working in two completely different writing areas at the moment. The historical fiction will certainly continue, and I have an outline plan for the next book to involve a sea journey in quest of the sources of tin needed for bronze manufacture. Nothing much committed to writing yet for that, but the plans are taking shape. But alongside that I am pursuing another of my enthusiasms, by writing science fiction in a fairly near future setting. It’s not only a different genre, but gives me the chance to write in a very different style. I imagine that both streams will carry on in parallel. 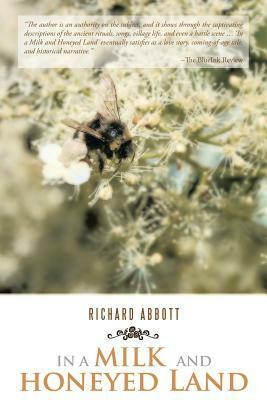 Richard Abbott writes fiction set in two very different places. First, there is historical fiction set in the Middle East at the end of the Bronze Age, around 1200BC. The second area is science fiction, set in a near-future solar system exploring issues of high-tech crime and human-machine relationships. 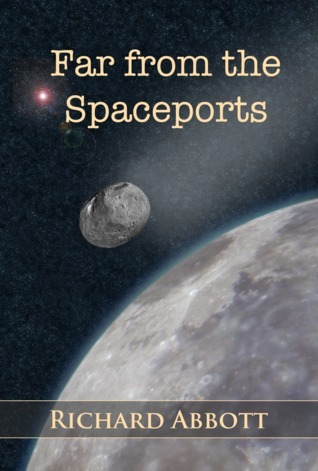 His first science fiction book, Far from the Spaceports, introduces Mitnash Thakur and his virtual partner Slate as they investigate financial crime in the asteroid belt. His first book, In a Milk and Honeyed Land, explores events in the Egyptian province of Canaan. It follows the life, loves, and struggles of a priest in the small hill town of Kephrath. 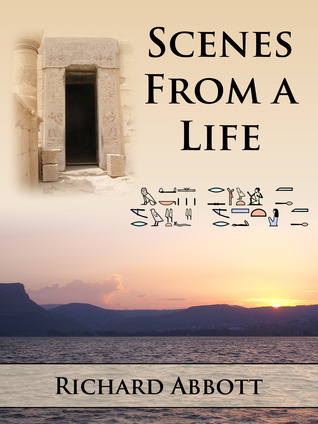 A follow-up novel entitled Scenes from a Life begins in Egypt. It follows the journey of a scribe as he travels to discover his origins. down the Nile from Luxor and finally out into Canaan. A third book, The Flame Before Us, is set in the middle of calamity. New settlers are arriving from the north, sacking cities and disrupting the established ways of life as they come. This story follows several different groups each trying to adjust to the new situation. Author readings from both In a Milk and Honeyed Land and Scenes from a Life are available online as YouTube videos. The short story The Man in the Cistern is set in the same location but around ten years later. The short story The Lady of the Lions is set in the same location but around one hundred and fifty years earlier. Triumphal Accounts in Hebrew and Egyptian is the ebook version of his PhD thesis which, for those who want the technical details, supplies academic underpinning for some of the ideas and plot themes followed up in fiction. Richard lives in London, England and works professionally in IT quality assurance. He also develops mobile/tablet apps with a focus on the ancient world, a subject for which he has great enthusiasm. The lovely Olga blogged this review of a very interesting book by Enrique Laso, his very successful psychological thriller series of Ethan Bush. It’s particularly interesting for me since she has translated the book and so it should have some of her magic touch. Plus, there is a giveaway! As I read the original in the process, of course, I decided to give you my impressions in an informal review. The review is of the story, not of my efforts translating the book (and we’ve counted with Express Editing Solutions invaluable services too), but I thought you might find it interesting. Ah, if you think you’d like to know more about getting you books translated, in this page I talk about it (I talk about other things too but, keep reading…). I believe every author and every book deserves the chance to reach a wide international audience and to be read by as many people as possible, and I’d love to help achieve that with my translations. If you want to see examples of books I’ve translated, you can checkhere. Oh, and before I forget, I’m taking part in a wonderful GIVEAWAY organised by fabulous author and always hard at work promoting others Marie Lavender. 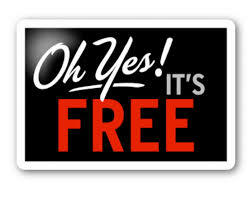 If you want to be in with a chance to win an incredible collection of FREE BOOKS, visit here. Thanks so much to Enrique for the book and the opportunity to work in such a successful series, thanks to all of you for reading, and you know, like, share, comment and CLICK!